"Patsy Hockaday (formerly Godley), Lead Vocals"
Patsy had the honor of performing for Patsy Cline’s mother and sister at an awards show in Fredericksburg VA several years ago and received a standing ovation. It is a cherished memory she will never forget. She does not attempt to sound like Patsy Cline, nor could she. Patsy Cline was one of kind. But what she does hope to do is show you some of Patsy Cline’s heart in her interpretation of Patsy’s songs. She truly pays tribute to the great Patsy Cline and she is blessed to have some of the best musicians in the area as part of the band. "Bobby Edenton, Steel Guitar and Vocals"
At age 13, Bobby would ride his bike to the Goodman family’s house where Bessie Goodman sat on the front porch and played her banjo. Knowing he was interested in music, she taught him to play “Cripple Creek’ on the banjo. A family friend, Mabel Parrish, bought him a guitar at a yard sale for $5.00 after she learned he was interested in music. After learning a few chords on that $5.00 guitar, he was hooked. He farmed for neighbors after school and on the weekends until he saved enough money and his grandmother, Christine, took him to buy his first guitar, a FG160 Yamaha. He then sat on the front porch and played his new guitar and sang for hours. Always interested in steel guitar, he bought his first one in 1982, and by April of that year became the Joe Sacra and the Country Raiders steel guitar player. After freelancing and playing with several good groups, he became a member of the Midnight Cowboys Band led by the late Charlie Collier. Throughout the years he’s had the opportunity to work with many great artists: Jeanie Shepherd, Melba Montgomery, Randy Travis, David Frizzell and several others. Locally he was fortunate to perform with great folks like Charlie Collier and Dickey Dennis, and he was especially fortunate to have the great steel guitar player, Buddy Charleton, in his life, as both a mentor and a friend, who taught him so much about the steel guitar. "Mike Hockaday, Drums and Vocals"
Mike grew up around music. His stepfather had a band, as did his uncle Donald. He got started in music at the age of 15 in his stepfather’s band and has played music now on and off for 35 years. He has been a member of Hare Trigger Band and Black Water, and has opened shows for Randy Travis, Keith Whitley, Clint Black, Jack Green, Stonewall Jackson and many more. 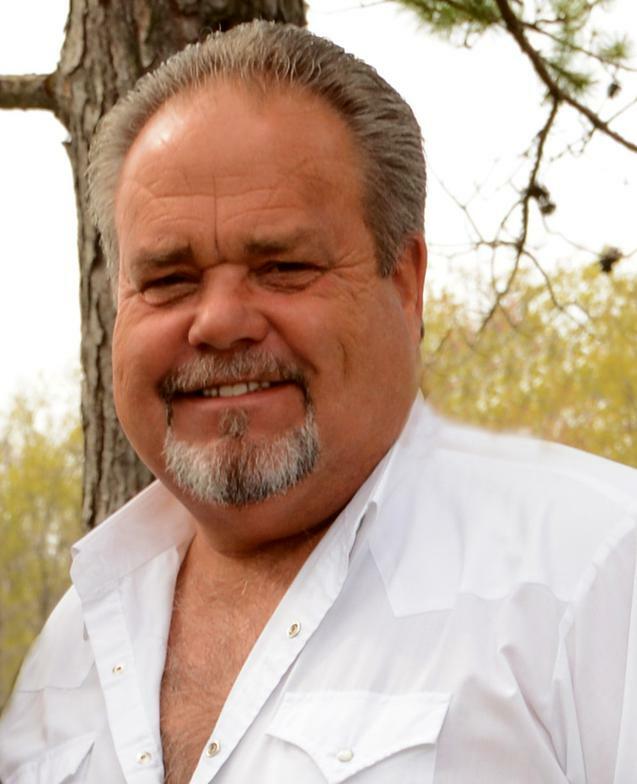 Mike has enjoyed being a part of Patsy and the Country Classics Band because it is an opportunity to play the music he loves most, traditional country music. Don’s love of music was influenced by his dad, who was a steel guitar player, and his older brother, Herbie, who played drums and bass. Herbie taught Don how to play bass when he was 8 years old. When Don was 12, Herbie deployed, leaving his drum kit behind, so Don taught himself to play drums as well and joined his first band! Don has played with many bands, including Jim Devinney and Iron Bridge, and has had the opportunity of opening for such acts as Tracy Byrd, Confederate Railroad, Billy Crash Craddock, Marty Robbins, Stonewall Jackson and many others. One of Don’s Bucket List items was to play with Patsy & the Country Classics, and Patsy & the Country Classics is very happy about that! "Stephanie Randall, Keyboard and Vocals"
Stephanie is a classically trained pianist who studied at the Johns Hopkins University's Peabody Music Conservatory in Baltimore, MD beginning at age 10. She has competed in piano competitions in the U.S. and abroad and has also performed in piano recitals in the MD, VA, and DC areas, as well as in Italy, South Korea, and France. At age 16, Stephanie began Randall's Music Studio, where she taught piano, theory, clarinet, trumpet, and saxophone after school and on the weekends. She assisted the Arlington County Public Schools Fine Arts Department by teaching woodwind sectionals at local middle schools. Between the ages of 18 and 40, she has played all different styles of music ranging from classical to punk rock and everything in between. She never stopped teaching music and added beginning guitar and bass to her studio lessons. In her early 40's, she became burned out with music and needed a break so she decided to go to college where she earned a Bachelor of Science degree in Environmental Science and a Master's of Arts degree in Special Education. She currently teaches at a local high school, and has always continued to teach private music lessons. After taking the break from playing in bands for almost 4 years she has missed playing and is very excited about beginning a new adventure with Patsy & The Country Classics! ​Jeff started playing guitar at the age of 5 and hasn’t stopped since. By age 17 he was on the road full time with the Back Porch Boogie Band and various other groups and had one song on the radio called “Standing On A Rock”. At age 25 he played with The Overtime Band that had a regional hit called “Two Loves Have I”. By age 29 he was playing full time with Jim Divenney & Ironbridge and traveling all over the East Coast. He has also fronted and traveled with Diamond Rio, Doug Stone, Trisha Yearwood, Jimmy Dean, and Brooks & Dunn. After retiring from the road he has played locally with the Lionel Ward Band and Bobby Cunningham. He is happy to have found a home with Patsy & the Country Classics and finds himself laughing way more than a person should. Patsy & the Country Classics are certainly happy to have such a gifted and talented musician! 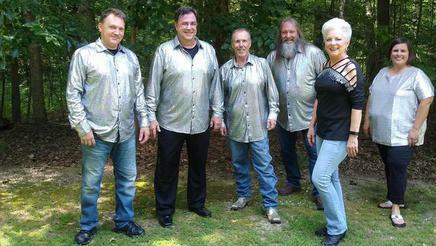 Patsy and The Country Classics was formed in 2012. Made up of seasoned musicians, who love playing country music, the band has filled a niche in the traditional country music genre. From their first outing, they have received an overwhelming positive response. Patsy has also written a script of Patsy Cline's life that interweaves other female country artists influenced by Patsy and the first time the show was played to a full house they received a standing ovation.